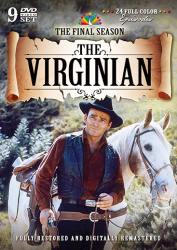 While James Drury and Doug McClure continued in their roles as The Virginian and Trampas, Season Five saw many changes in Medicine Bow. 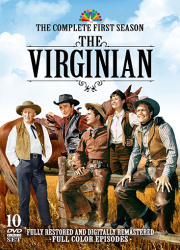 The great Charles Bickford joined the cast as the proprietor of the Shiloh Ranch, along with Sara Lane, Don Quine and Clu Gulager, breathing fresh life into the show and recapturing its top ratings. 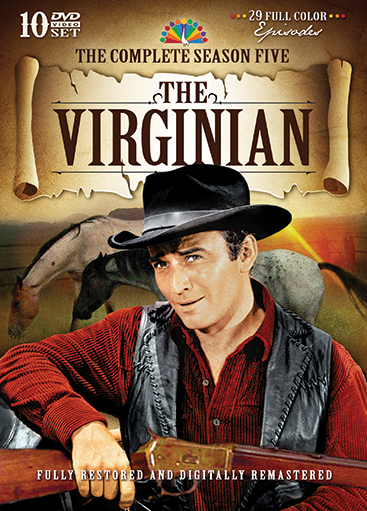 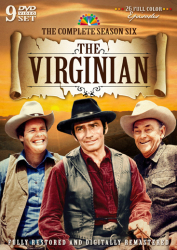 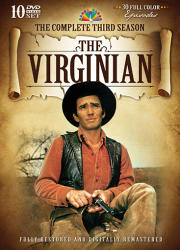 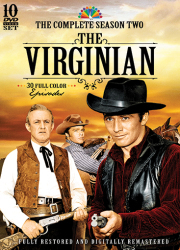 The impressive list of talented guest stars in Season Five include Angie Dickinson and Warren Oates (Ride to Delphi), Susan Strasberg (The Captive), Dan Duryea (The Challenge), Myrna Loy (Lady of the House), Pernell Roberts (The Long Way Home), Andy Devine (Yesterday’s Timepiece), and many more.